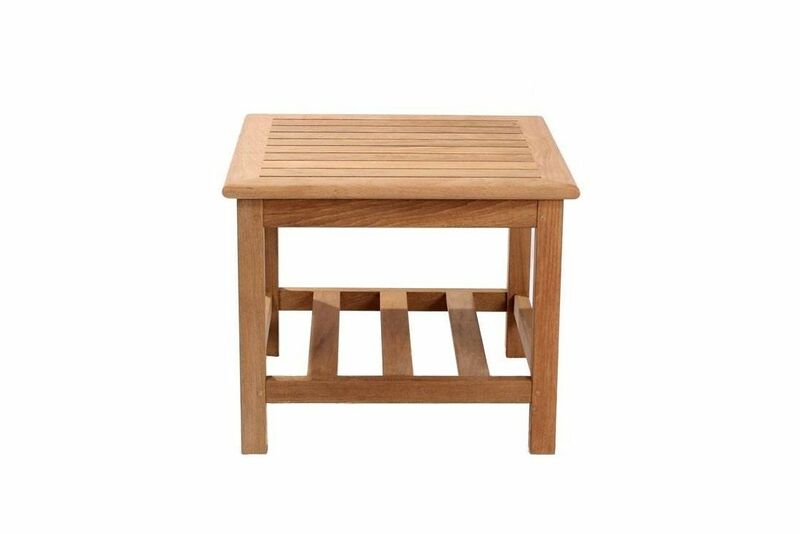 very compact little side table great for duo sets or next to sunloungers and the like to store books, drinks, etc. There’s a lovely smooth finish throughout the piece with rounded edges on the tabletop itself. Hand finished in quality teak it will stand the test of time and last for years to come. finished in quality teak it will stand the test of time and last for years to come. Looks great indoors or out and even has added storage space on the bottom rack. When used outdoors the teak is naturally protected against the elements by the oily and very dense grain which is a significant feature of this timber when used to make furniture. These factors also protect it against the likelihood of cracking or splitting with outdoor exposure.